Bring water to a boil in a small saucepan. In a medium bowl, combine sugar and gelatin. Add boiling water to bowl and stir for 5 minutes, or until gelatin is completely dissolved. Add in the milk and almond extract, and continue stirring until the mixture is well blended. Pour almond jello mixture into four small bowls and refrigerate until it begins to firm up but isn’t fully set (about 30 minutes). 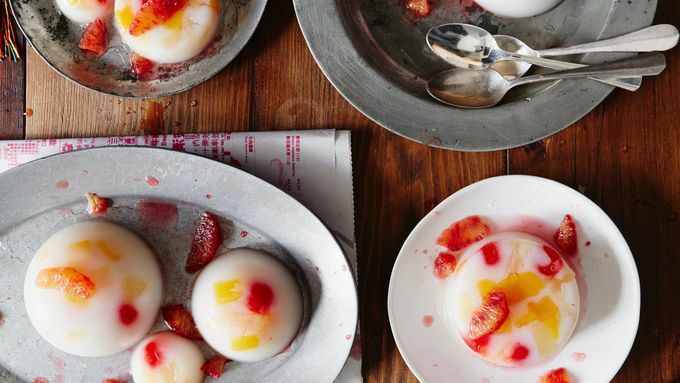 Take half of your defrosted frozen fruit and submerge pieces in the individual bowls of almond jello. Chill 45-60 minutes longer until completely set. 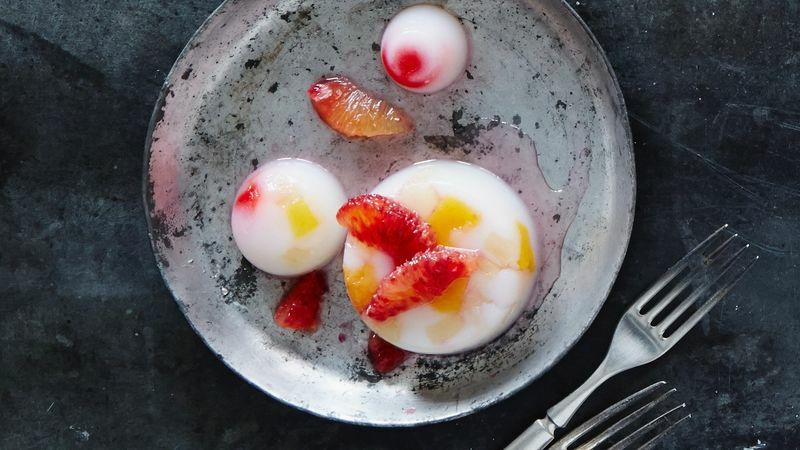 Top bowls with remaining peach slices, mango chunks or berries before serving. You can easily substitute coconut milk or almond milk for the whole milk in this recipe to make a dairy-free version.